The arrival of Manitoba’s sunny summer means days spent at the beach, camping trips at the lake, and loads of summer fairs and festivals to fill up on music, culture, and food! 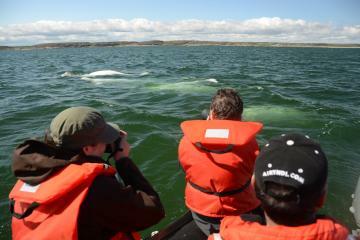 The summer months also bring the arrival of nearly 3,000 beluga whales to the Churchill River Estuary. 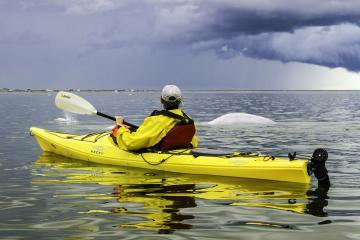 Boat or kayak expeditions offer the chance to get up close to these friendly and curious whales.